TheOneSpy is one of the best cell phone monitoring app these days. It offers plenty of spying features that empower users to get the job done with sheer power and accuracy. No doubt customers’ purchases totally invisible and stealth mobile tracking software, the expectations become high and they want the results out if it at very according to the product’s description. But on the other hand, the cell phone spying program also describes very important conditions to get the best results which users usually ignore and they don’t get the stuff what actually they are looking for. Today we are going to explain why users got fatigue while using Top TOS monitoring features due to unawareness. When customers got the subscription of mobile phone spyware and then login into the TOS online control panel and then get their hands on the robust features. They just want to monitor the target device by using the Top TOS features such as phone bugging, GPS location tracking, and IM’s social media and last but not the least call recording of the phone tracking app. But they don’t aware of one thing, that a stable internet connection for monitoring software for cell phones such as TheOneSpy is necessary. Otherwise, they will not be able to get the job done as they are expecting. We believe in customer care and therefore if there is the issue while using the spy app other than the issue of the weak internet, you can contact our talented and well-organized customer care representatives 24/7. Let’s discuss the TheOneSpy top spying features that require the fast internet connection. Obviously, cell phone spy program runs with the help of stable internet connection, but irrespective of that low internet connectivity will get more time to perform any function on the target device send by the user. Ultimately, users will have to wait to see the results what they are looking for. Let’s suppose while using MIC bug of TOS cell phone monitoring software and having the low internet connection, users will not get the results in real time. Results will remain on pending and user will not be able to get on time such as spyvidcam bug of the mobile phone spying app. When the user sends the command to the target device and the target device will get it even having low internet connectivity, but the user would not get the videos of the surroundings and will remain on pending. At this stage, remote control on the target cell phone without having physical access depends on your internet speed. As soon as internet is stable, all the requested data can be view on the online dashboard. There is the huge difference between the low internet connectivity and un-stable and low bandwidth internet. The low internet may perform a function or command sent by the user on the target device. But on the other hand, having unstable and low bandwidth internet connection device may do not get the commands sent by the user on the target cell phone device. Low internet connection of target cell phone device will get the bugging commands sent by the user such as camera bug of the remote cell phone spy software. The command sent by the user of the camera bug on the target device will be received, but the files in a response of the command will not be able to upload due to the low internet connection. The unstable internet connection of target mobile phone device provides incomplete log files to a user. Because the internet connection that performs back and forth will provide a user incomplete files and a user will not be able to get the real-time monitoring of target cell phone gadget. Let’s suppose a user sends the command to the target device and the device has the unstable internet connection, they will get those results when the internet connection becomes stable and vice versa. 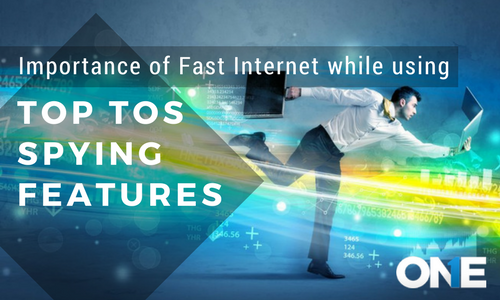 Stable internet connection will enable a user to get the best results on time. When a user uses bug their phone and sends command of MIC bug on the device having stable internet, a user will get real-time surround voices and conversation on the control panel. On the other hand, stable internet connection also enables a user to get surrounds videos of the target device through spyvidcam bug with complete time stamp and images and photos of the surrounds by using the camera bug of the mobile phone surveillance software. Stable internet connection empowers a user to track the real-time GPS location of the target cell phone device. But on the other hand if users have low internet connectivity he may not get the results at all, and unstable internet connection may provide a user GPS location of a target device but it would not be in real-time such as current GPS location. Social media platforms are very common among the people especially in the young generation and they do text messages, shared media files, chat conversations and do VOIP calls. Having low internet access to the target device will provide spy on instant messages, chat logs, messages logs. But VOICE related activities either it is in the videos or audios would not be able to track by the user will low internet connectivity. The user would not be able to get the text messages, chat conversations audio and videos call on the social messaging apps such as Facebook, Yahoo, Line, WhatsApp and others having low bandwidth internet. The user can record and listen to the calls happens on the target device by using the call recording of the phone monitoring app when the target device is connected to the fast internet connection. But a user may or may not be able to get the real-time recording of the calls having low internet connectivity due to unloaded files of calls recording on the TOS control panel. In short, if users want to get accurate and efficient results when using top TOS features, make sure that target device is running the high width band internet connection. The user should keep in mind that phone bug, GPS location tracking, IM’s social media and call recording perform at the peak of their expectations if the target device has a stable and fast internet connection. Stable internet connection will enable a user to get the best results on time. When a user uses bug their phone and sends command of MIC bug on the device having stable internet, a user will get real-time surround voices and conversation on the control panel.